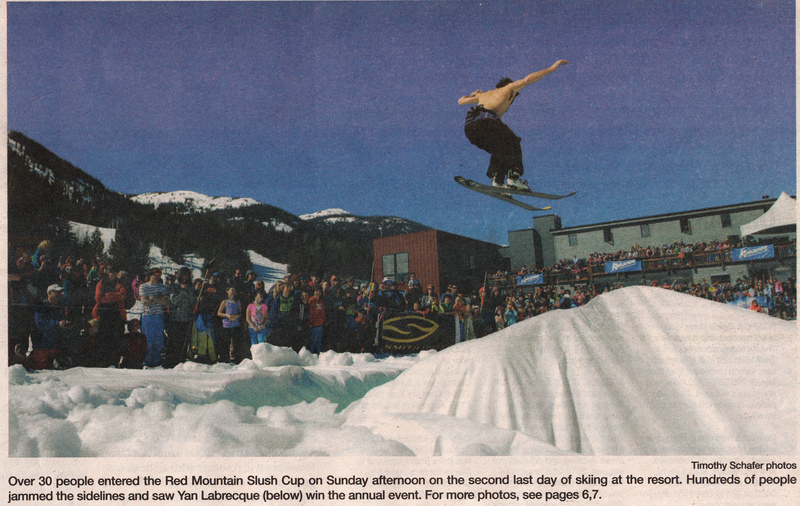 For the second year in a row my Slush Cup performance has been immortalized on the cover of the local rag (above). The Spring skiing conditions for the last few days of the season at Red couldn’t have been any better, with endless sunshine and perfect corn, crowds of retro clad skiers, and impromptu parties all over the mountain. Planning for another ski trip if conditions allow, but otherwise biking season is in full swing. Biking season?!? Early april?!? I thought you’d have more snow than that this time of the year?!? Here (Pyrenees) we are finally getting ready for long ski tours as soon as the high pressure is back! However you ride the mountains, enjoy!